I bought three magazines yesterday, Karen is my favourite out of the three, it's a New Zealand glossy. Mainly because of the fashion editorials. 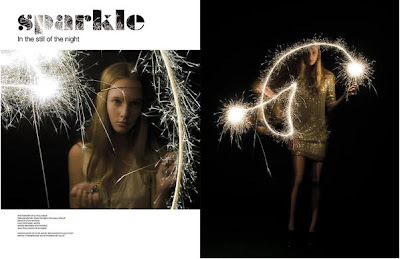 My favourite is the one below, 'Sparkle' (its the reason why I bought the mag). "match in the gas tank... boom..boom"